Network Depot offers superior services and superior results. Our business IT support professionals have extensive experience providing expert IT services, support, and consulting to a wide range of businesses. We know that you know what you want for your business–so we offer comprehensive, personalized support solutions to ensure each of your particular needs is met. We offer an impressive range of IT services that will fulfill all of your business IT needs. Our business IT support professionals will help you achieve your IT goals efficiently, effectively, and securely. Our experienced consultants will ensure all of your IT needs are met. When we begin working together, we will immediately address your IT needs, implement solutions, software, and optimization, and provide assessments to further enhance your business’s productivity. Network Depot will secure your network and proactively configure your infrastructure and security to prevent future risk and damage. From malware and data theft to blocking unsafe content and questionable devices, Network Depot will protect your business and your network with our intelligent filtering system and insightful solutions. A whopping 80% of all business are not reliably backed-up, meaning they are wholly vulnerable to complete data loss should a major disaster strike. Do not less your business be a part of this 80%. Entrusting your company’s data with Network Depot ensures your data is protected by our iron-clad, fail-safe Backup/Disaster Recovery Device (BDR). Our BDR is bulletproof. Our BDR continuously archives your data, backing it up every fifteen minutes. Our BDR is sophisticated, encrypting and storing your data in two off-site data centers. Our BDR can even take on the role of the server in the event of a server malfunction and continue to perform incremental backups. Network Depot will serve as your company’s personal hotline. We will respond to any IT issue your company may face, big or small, emergency or otherwise. We offer our Help Desk Support as an optional feature of our Comprehensive IT support service. Network Depot’s network assessment professionals thoroughly and comprehensively investigate your existing network, infrastructures, security, and processes. Our network assessment provides solutions to implement greater functions for efficiency, productivity, and organization. A network assessment ensures your business can grow unhindered and unencumbered, by optimizing the infrastructure, the functions of your network, the flow of bandwidth, and the security of your system, in order to foster the greatest healthy state for your business’s network. By assessing your present business strategies, your future business goals, your organizational computing requirements, your user needs and options, as well as your company guidelines and procedures, Network Depot provides a comprehensive, customized roadmap for your business. Our skilled consultants provide you with specialized knowledge and expertise, enhancing your business’s efficiency, raising productivity, effectively balancing/redistributing resources, and increasing your profits. Network Depot’s consultants have the superior skills and expertise to provide your business a comprehensive analysis of virtually any piece of computing hardware or accessory. Our consultants will quickly identify the problem, and implement the most effective solution. Our fast and accurate analysis prevents your company from experiencing downtime, protecting your productivity and efficiency. Network Depot ensures your business is always working with the most current versions of productivity and management softwares, acquiring any licensing you need. We take care of the implementation and delivery of updated software so you can focus on your core business. Network Depot’s IT services are affordable, offered at a convenient flat rate that promotes an easy-to-budget plan. Regardless of the technology problem–emergency or routine, small or surprising–your business will still pay the same monthly fee. Our extensive IT services deliver efficiency and optimization, increasing your business’s productivity and creating a situation in which the management of your technology will not hinder your company’s profitability. Keep your business centered and balanced by letting Network Depot care for your server. Our server support is comprehensive, covering everything from managing network permissions to storing files, and from eliminating data loss to optimizing confusing network set-ups. 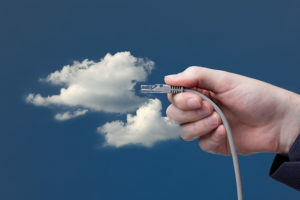 Network Depot will keep your business connected and prepared for the future by helping your business connect safely to the cloud. The cloud offers impressive scalability and accessibility for your company, untethering you from the limitations of hardware and static software. With Network Depot’s monitoring and maintenance we prevent network workstation IT issues and emergencies. Our remote monitoring service proactively works to detect any unnatural conditions. If something goes awry, our system immediately notifies our technicians who will promptly investigate the issue and rectify it. We would be happy to meet with you and discuss how Network Depot does things differently. Click the button below or call us at 703-810-3960 to register for a free consultation.